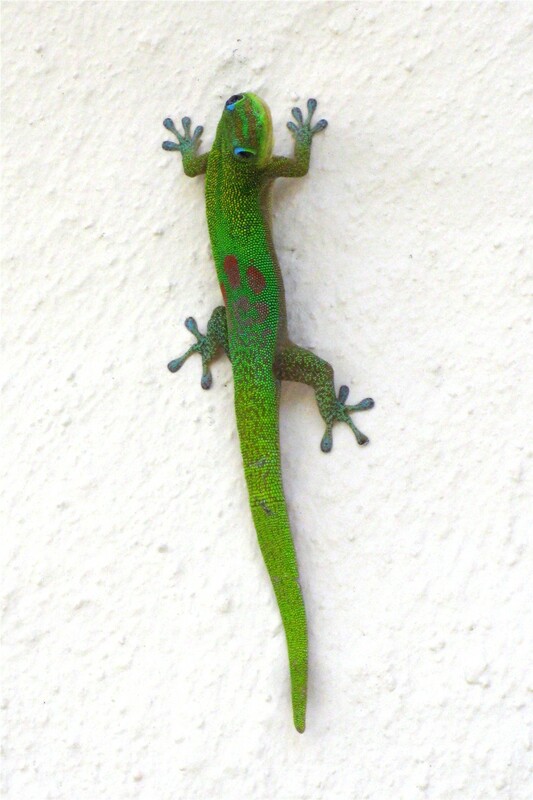 The team nickname "Geckos" is probably still available. There are more sports teams called the Tigers than there are actual tigers. OK, that may be a slight exaggeration, but tigers in the wild have become scarce, while Tigers in stadiums and arenas are plentiful. In addition to the baseball team in Detroit, there are forty-six college teams that call themselves the Tigers, including Auburn, Clemson, LSU, Missouri, and Memphis. I don’t know exactly how many high schools have adopted that nickname, but I’d estimate “lots”. It’s common practice to choose a name that conveys menace: besides Tigers, there are lots of Bulldogs and Bears and Wildcats. Eagles are plentiful as well; seventy-six colleges use that nickname, the most of any bird or beast. There are, however, a handful of teams that have taken names that aren’t intimidating at all. They may have historic significance, but they aren’t likely to make the opposition gasp, “Oh my god, we’re about to get devoured!” I’m thinking of New York University, which calls its teams the Violets. That may have something to do with the flowers that grow around Washington Square where the campus is located, but I would imagine the name is a handicap in recruiting. What power forward wants to think of himself as a Violet? Amherst College has a fine academic reputation, but its athletic teams are saddled with the nickname “Lord Jeffs”, for the British military commander. They may be good competitors for all I know, but Lord Jeffs sounds like a bunch of guys whose closets are full of satin outfits. That applies to the Whittier College Poets as well. There is a professional basketball team in New York called the Knicks, a name that has an obscure origin. In fact, I’ll bet if you stopped fifty people at random on the streets of New York City to ask them what “Knicks” means, forty-eight of them would tell you to go *!%*# yourself. The other two would admit they don’t know. It turns out that Knick is an abbreviated form of Knickerbocker, a name associated with the Dutch who originally settled New York (well, New Amsterdam back then). Fittingly, the current Knicks team plays as if they’re wearing wooden shoes. Another team in the New York area that has a strange nickname is Manhattan College, which goes by the Jaspers. The inspiration for that was Brother Jasper who, in the late 19th century, brought to the Catholic campus an obscure sport called base ball. He became Manhattan’s first coach, and Brother Jasper is also credited with the invention of the seventh-inning stretch. There are several other nicknames that one doesn’t associate with athletic prowess (Stetson University Hatters, UC Santa Cruz Banana Slugs). There are some that seem intentionally obscure: Western Carolina and University of Vermont both call their teams the Catamounts. I’ll save you the trouble of looking it up — catamount is a general term for wild cats such as cougars and lynxes. There are others we could ridicule, but the prize for dumbest name goes to the Rhode Island School of Design, which calls its hockey team the Nads. That name was selected for the sole purpose of having its student section chant, “Go, Nads”. Yeah. Haha, very funny, kids. Thanks for the reminder that sophomoric humor originated with sophomores. This entry was posted in Sports and tagged team nicknames. Bookmark the permalink. Scottsdale Community College. Their team name is the “Artichokes.” Too funny. Stanford has a similar lack of imagination. A few decades ago they changed their nickname to Cardinal… not Cardinals plural, like the birds –just Cardinal, the color. For some reason, the mascot is a tree. I say if you’re going to call yourself Cardinal, have your mascot dress in ecclesiastical garb.